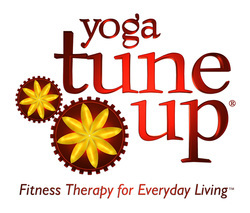 ﻿Cathy is a certified Yoga Tune Up® , Roll Model Method® and Integrative Yoga Therapy Instructor. Yoga Tune Up®, is a “whole body” system that accelerates the natural healing and structural strength and mobility of your body by combining elements of yoga, functional body movement and specialized exercises and sequences designed to quickly identify and treat “body blind spots” (areas of the body that tend to get under-used or mis-used and are typically a catalyst for pain and injury.) YTU teaches you to use your own biomechanics and physiology to help create lasting structural change for a body that lasts a life time! The Roll Model Method® is a specialized system that utilizes myofascial self-massage therapy work to further increase the benefits of Yoga Tune Up®. 5Is Personal Yoga Training Right for You? 1. Busy schedule? Are you thinking about starting a home yoga practice that you can do at your own pace, in the privacy and convenience of your home, with the motivation & professional training of a certified yoga instructor? 2. Are you a beginner wanting to get started in yoga and would like to learn the basics before joining a group class? 3. Are you working toward rehabilitation from an injury or condition that has previously limited your mobility and/or overall quality of life? Are you looking for stress relief and techniques to reduce aches and pains? 4. Are you an athlete or a weekend warrior looking to increase your edge by learning a sports specific yoga program to improve your coordination and mental focus along with learning how to prevent injuries and reduce aches and pains? 5. Have you been practicing yoga for a while and want to go to the next level in your yoga practice or work more in-depth on specific poses, breathing techniques, meditation etc.? In your personal yoga training session you will learn and practice postures and breathing exercises at your own pace. Each pose will be fully explained and demonstrated. You will learn proper alignment and modifications that are tailored for your personal fitness level and goals in mind. Your first session will include review of your health history, establishing your short term and long term goals and learning the fundamentals of yoga asanas (poses) and pranayama (breath exercises). Training sessions typically last one hour. Corrective Exercises that include yoga therapy and functional movement work. Larger off-site corporate or personal groups, on-site training, workshops and yoga parties please call for quotes. Learn how to alleviate pain and increase mobility and performance in your body with self-massage therapy techniques and strengthening functional body movement.with myofascial massage therapy balls. Train with Cathy Favelle, certified Integrated Yoga Tune Up® and Roll Model Method® instructor. Call 920-787-7800 to schedule an appointment for on-site training at our studio.